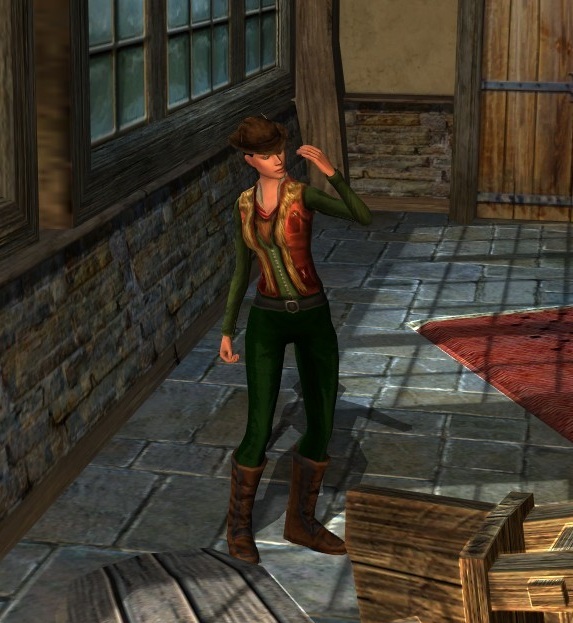 Today’s “Dress It Up” is an easy-to-acquire skirmish cosmetic, the Herdsman’s Waistcoat and Shirt. This is an upperbody item only, which gives you lots of flexibility in the rest of the outfit. The waistcoat and furry neckerchief do not dye, so always remain that combination of red and umber. 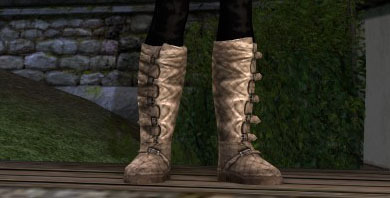 Here, I’ve combined it with the Shabby Cap, Padded Leggings of the Dunland Soothsayer, and the Threadbare Boots of the Dunland Healer boot appearance. I think it’s a great piece to use for a general laborer, a simple Man in simple clothing. But that’s me. What would YOU do with it? I’m a slaaaacker. I was all driving down the coast seeing the ocean today, and not posting. So have a better-late-than-never Dress It Up in commemoration of stunning blue skies and choppy water. 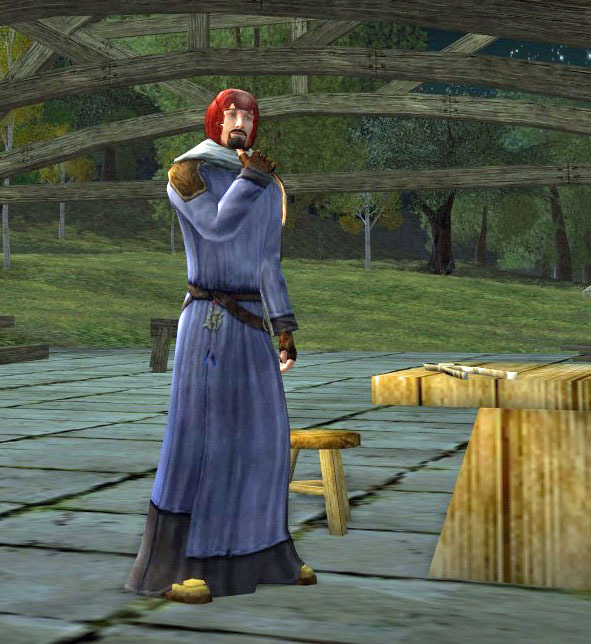 The Summer Travelling Cloak is a sort of preview for life After the Farmers Faire: that is, it’s a barter option for the Summer Festival happening next month. 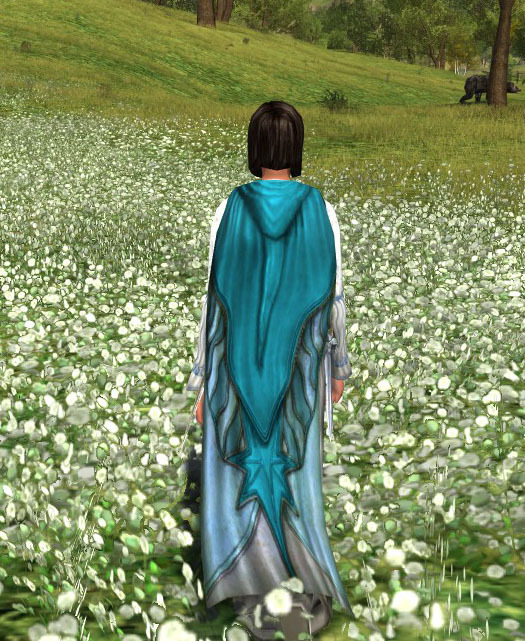 It’s a gorgeous cloak. Most dyes work wonderfully with it. I’ve chosen Evendim blue in honor of sea and sky, but it looks fantastic as well with burgundy or crimson or one of the other blues. 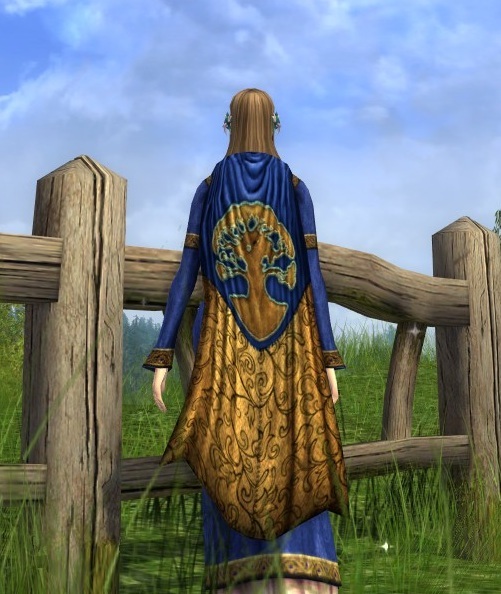 What would you (or have you) done with this cloak? Here’s a closer-up view of the tree motif. It’s been a really rough weekend! 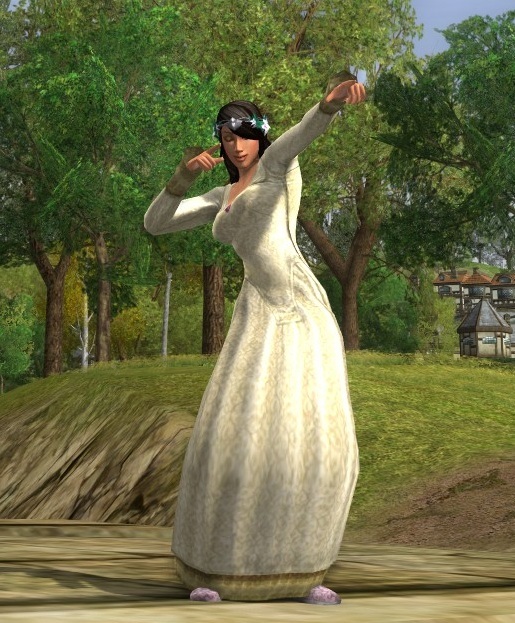 And so I am soothing myself with LOTRO frivolity. 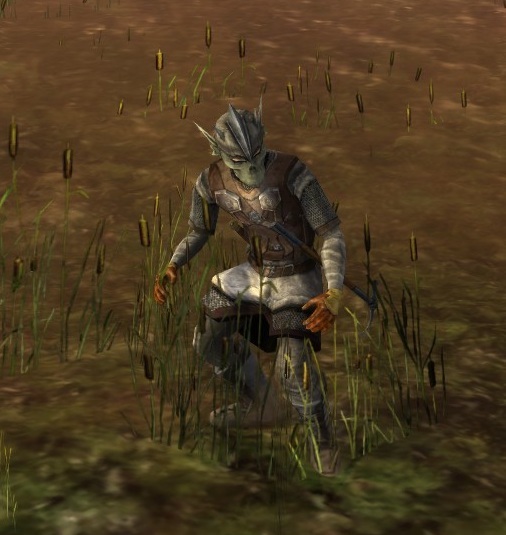 That inspires this week’s Dress It Up victim: the Goblin Festival Mask, available during the autumn Harvest Festival. It’s…cute! It really is. For an evil costume mask, it’s fantastic, and I have to point out Starry Mantle’s awesome Firebomber and Fleshmauler of Bolg post for a great goblin interpretation. 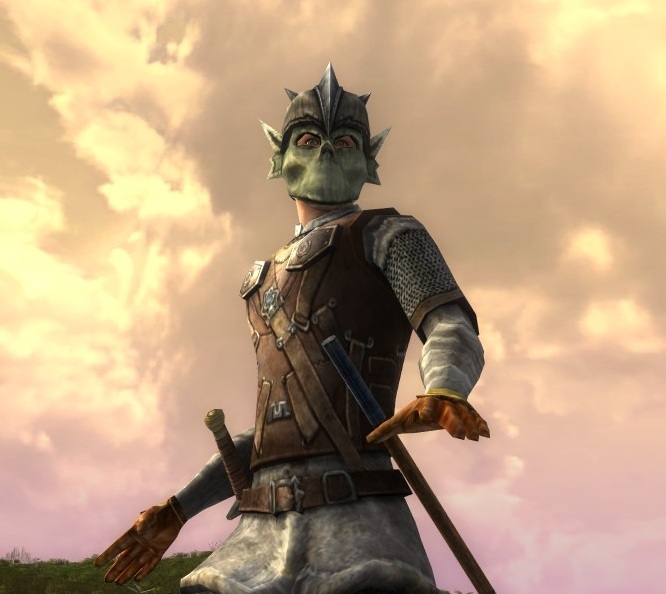 I’m saving my big-scale Goblin outfit for Halloween, but after a fretful day, I’m really curious to see what YOU would do with the goblin-mask. Tomorrow, a new Seen on the Streets! And hopefully less chaos! This is a really broad category, and I hope a bunch of you post links to outfits you’ve done that meet the criteria. What criteria? Yellow. 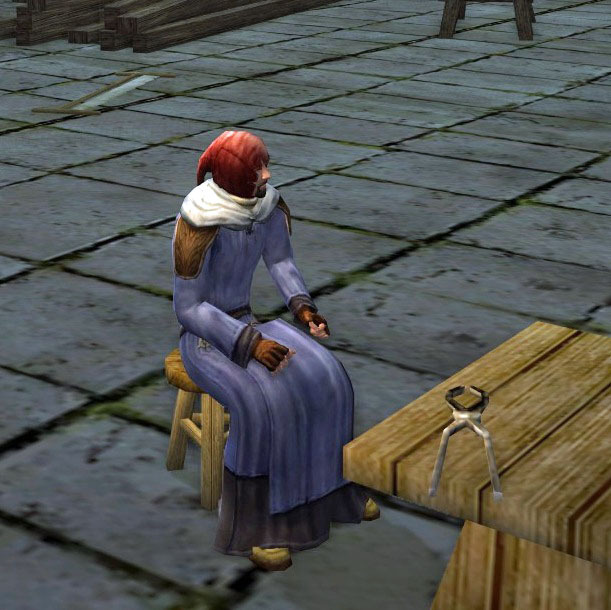 For in-game purposes, I mean outfits with a predominant dye shade of “yellow” or “gold,” though I’m pretty sure most of you don’t utilize the “yellow” dye. The reason I chose yellow as an overall theme is that it is my least favorite color. Least. Totally least. It makes me look awful, and I only really like it as sunshine and as a really bright, bold, splash of gold. Butter yellow…blech. Pastel? Yech. So prove me wrong! Show me awesome! The best use of yellow I’ve posted here so far is the Seen on the Streets of my friend Aminah (scroll down a ways). She is the only character I’ve ever seen that makes the Big Bird “yellow” dye look good. I have my eyes closed because I usually wear burgundy and am slinky and dangerous, but the BLOGGER put me in pale gold, and EW. So, what do you think? Yellow fan? Gold fan? Show me! Soo maybe a poll didn’t happen yesterday. Maybe instead we crashed at a friend’s house after a concert and then ended up going to a barbecue championship and then sleeping all afternoon. Maybe. It seems plausible. More poll fun later in the week! No, not really. 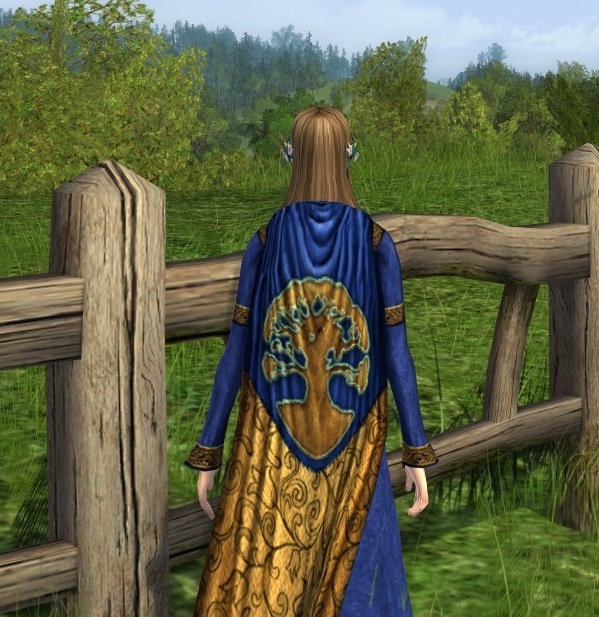 It’s the LOTRO Store (Store AND Skirmish cosmetic vendor, whoops!) item, the Cloak of the Silver Star. It’s another one of those tricksy items: two tones of light blue surround white, and you’re only able to dye the majority of the white. 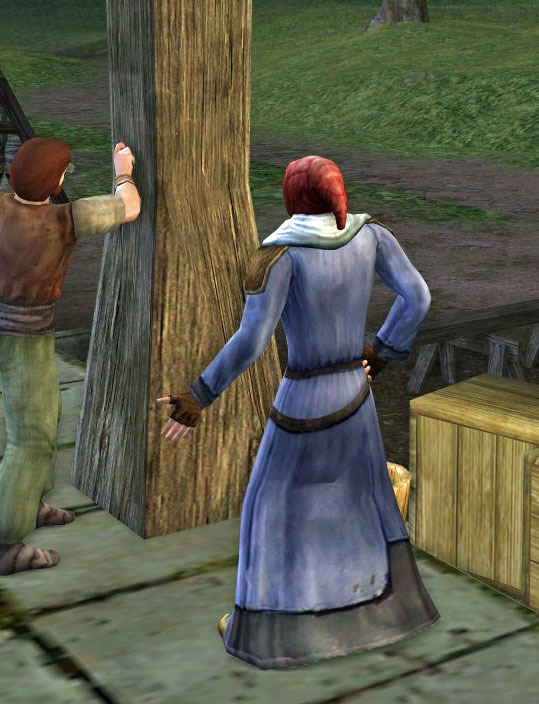 It’s a cloak that a strong or dark color would easily overwhelm. 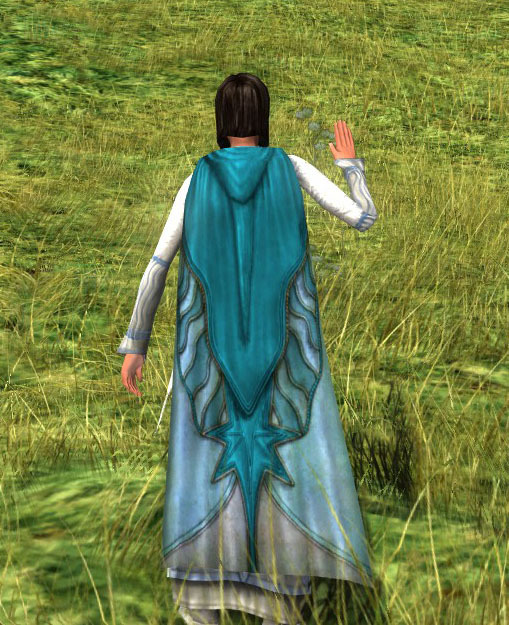 I chose to dye it sea blue because I am currently obsessed with the color, and also because it balances well with the blue already on the cloak. But that’s me! What would YOU do with it? This upcoming week is Hauberk Week with The Ivy. Huzzah! Do you have at least one level 75 powering your outfit choices? 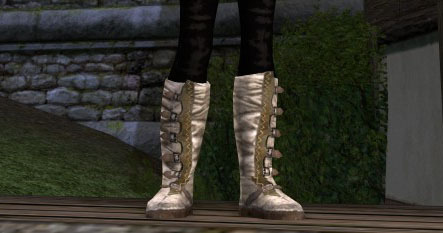 Now that you have access to the splendid new Isengard boots as cosmetic possibilities, do you ever – ever! 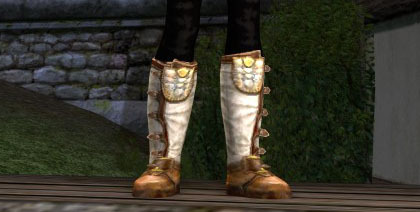 – use the cosmetic boots available at the low-level Outfitters? I used to use them all the time! 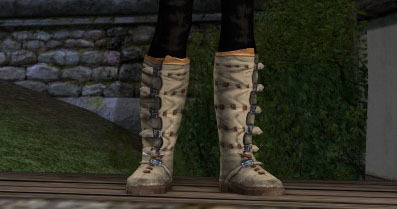 They were my go-to boots, the sort of cheap summer sneakers you can buy at Walmart at 3AM and know you can easily destroy while walking around in the lake the next day. That sort of thing. But since Isengard, I haven’t touched them. How about you? A few possibilities there, right? Subtle differences. So what about you? 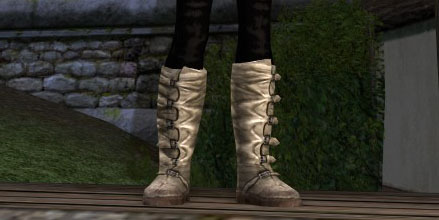 Ever use them in any of your current outfits?